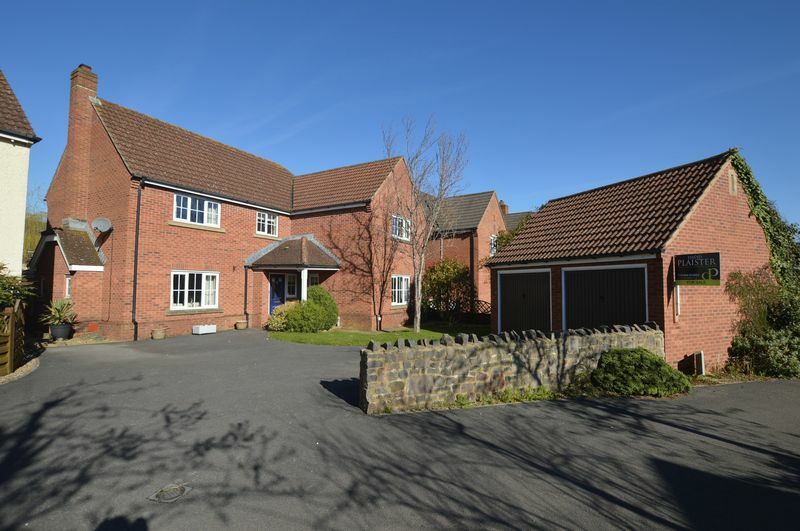 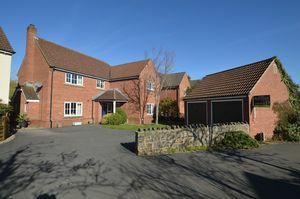 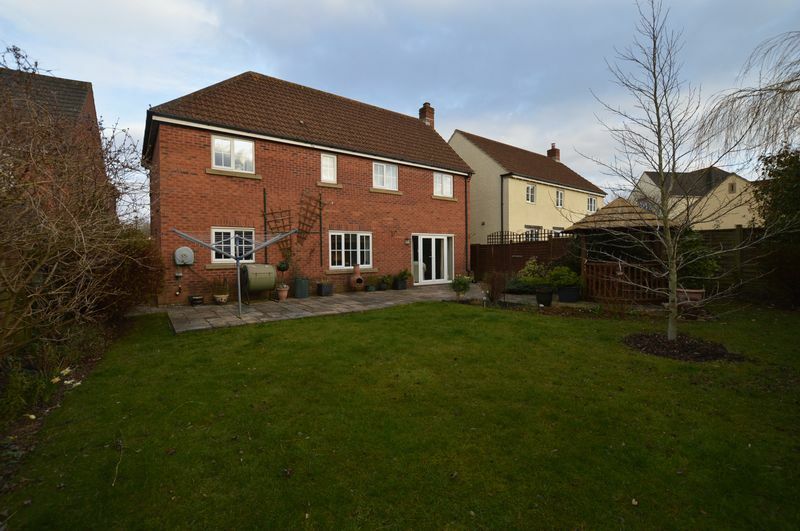 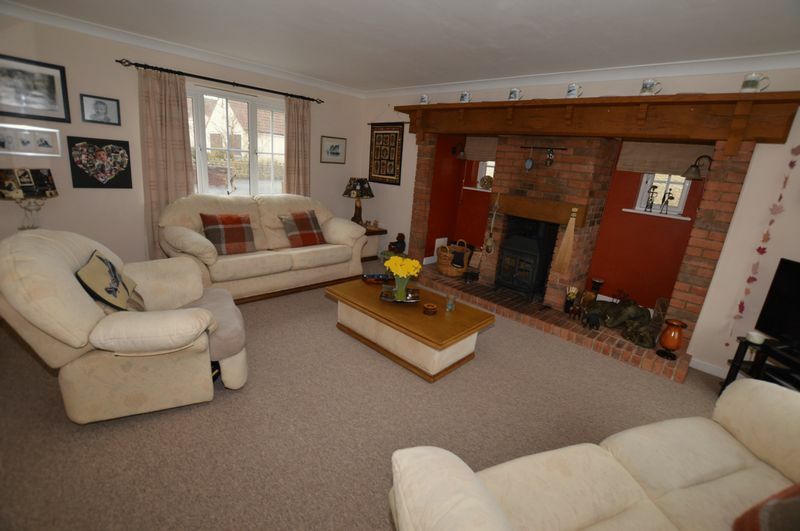 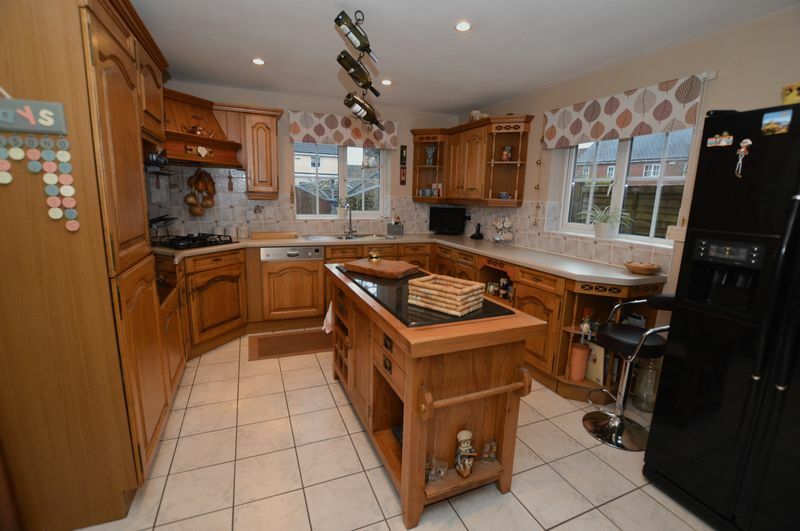 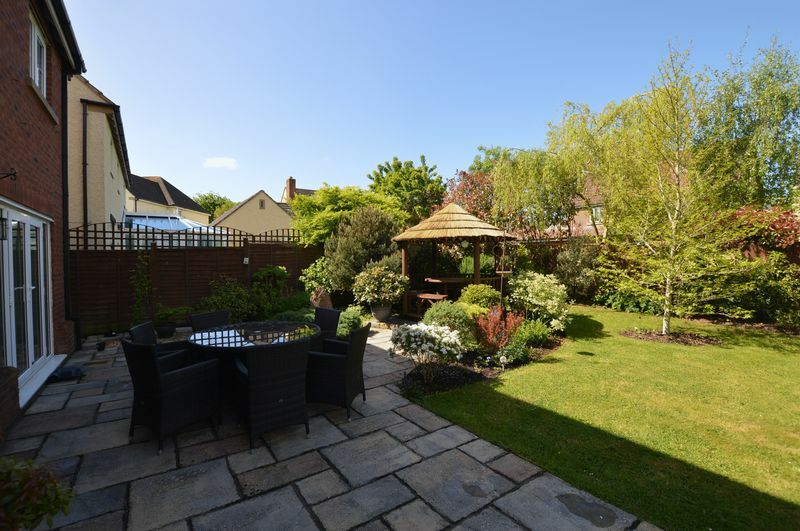 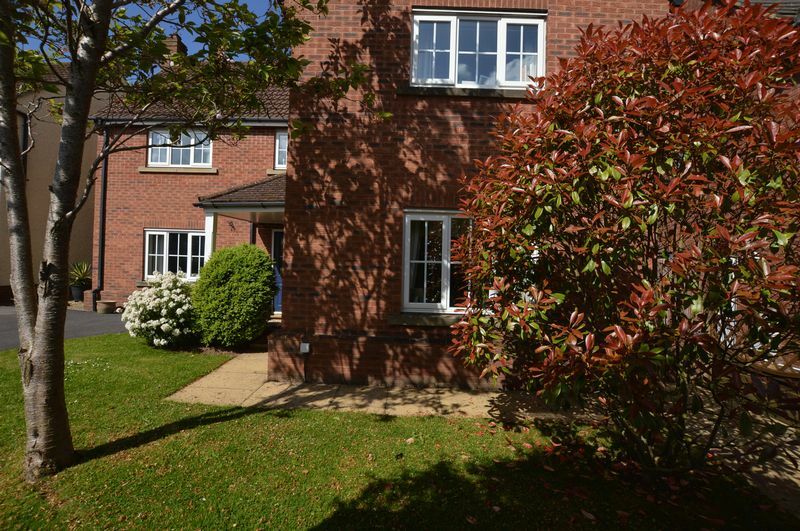 David Plaister Limited is delighted to bring to the market this executive, five bedroom, detached family home which is situated in a cul-de-sac in the sought after, semi-rural location of Elborough Village. 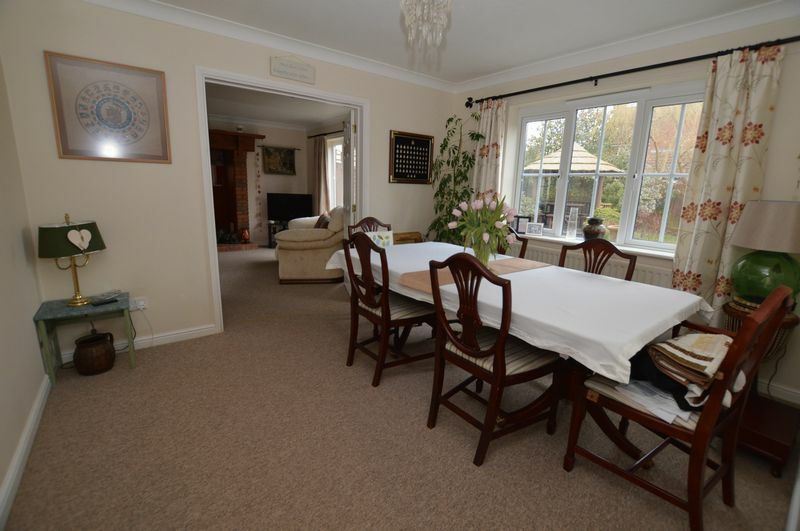 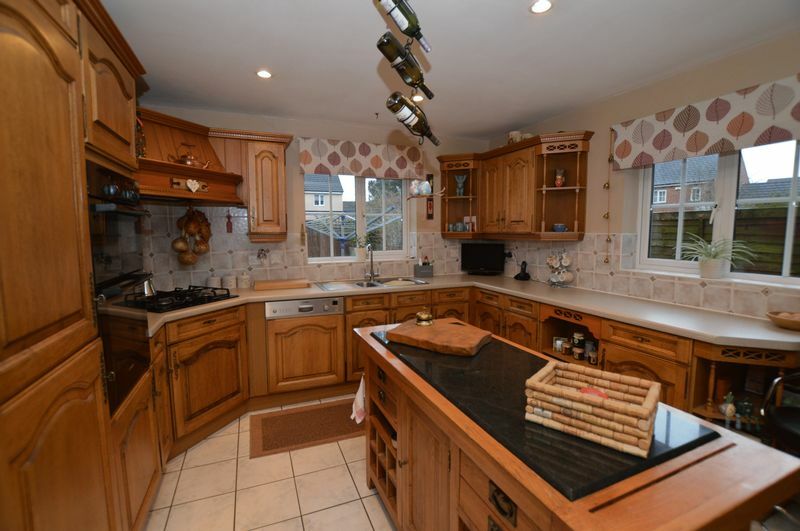 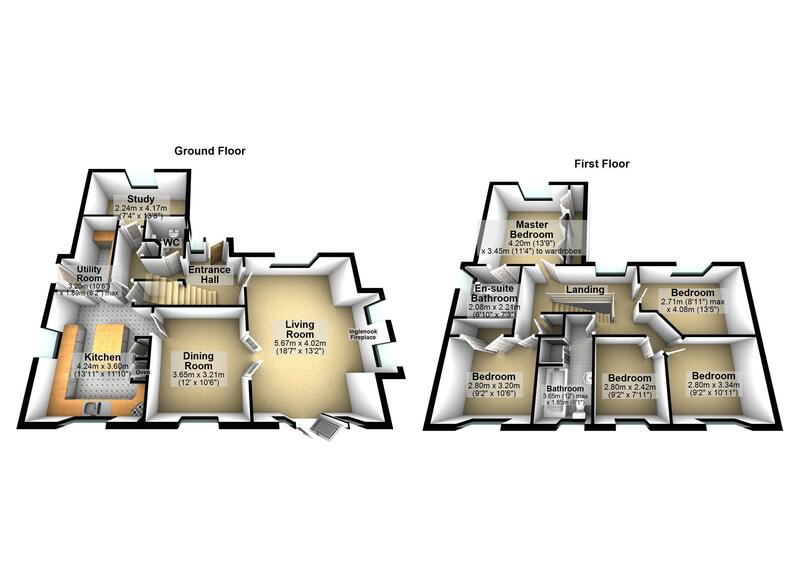 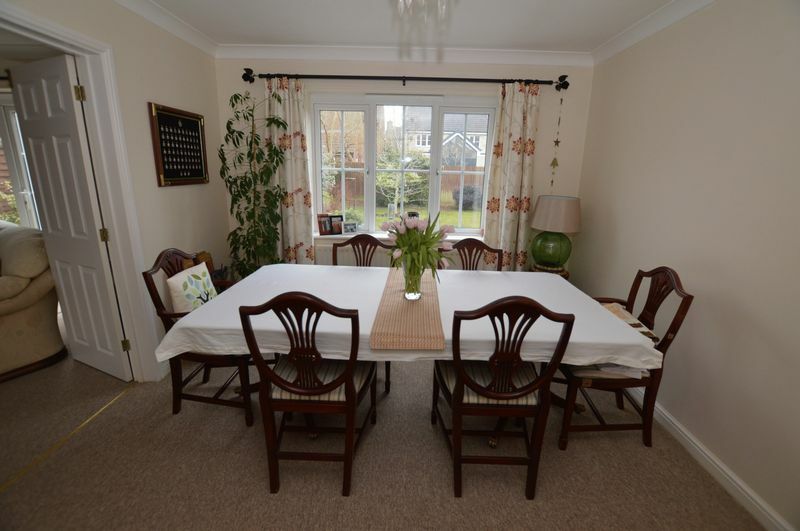 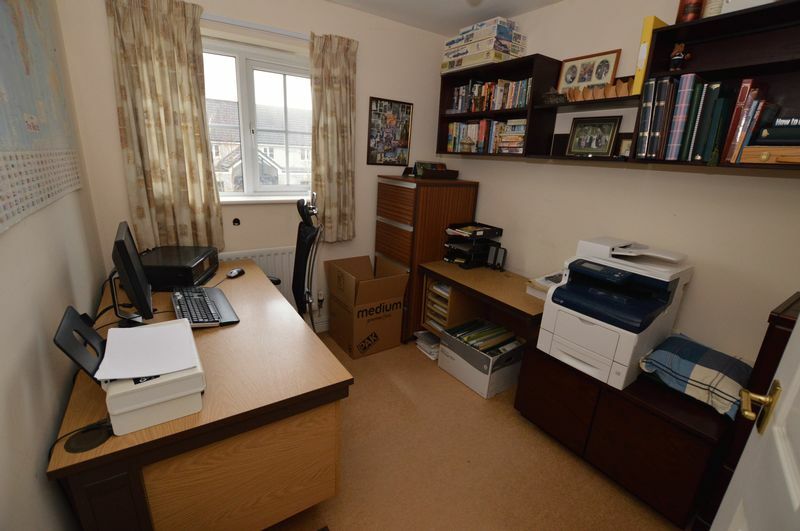 Flexible accommodation comprises; lovely entrance hallway, cloakroom, super living room, dining room, kitchen, utility room, office/study, master bedroom with en-suite, four further bedrooms and family bathroom. 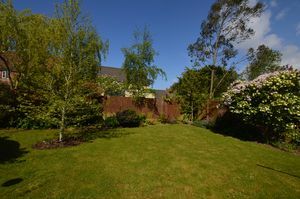 To the front of the property you will find a shared private driveway providing ample off street parking, to the rear there is a private and enclosed garden laid to lawn with a super patio area which could make the perfect spot for a BBQ and entertaining, there is also the added benefit of a well constructed timber pergola style seating area which would be ideal for relaxing in the warmer months. 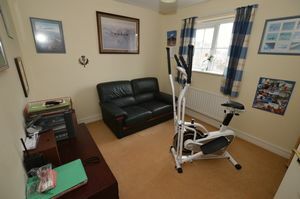 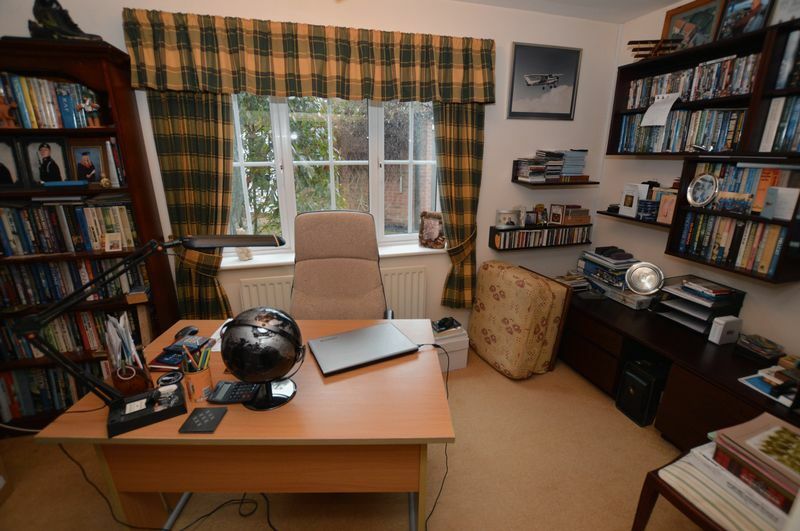 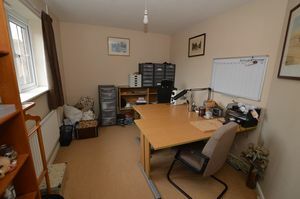 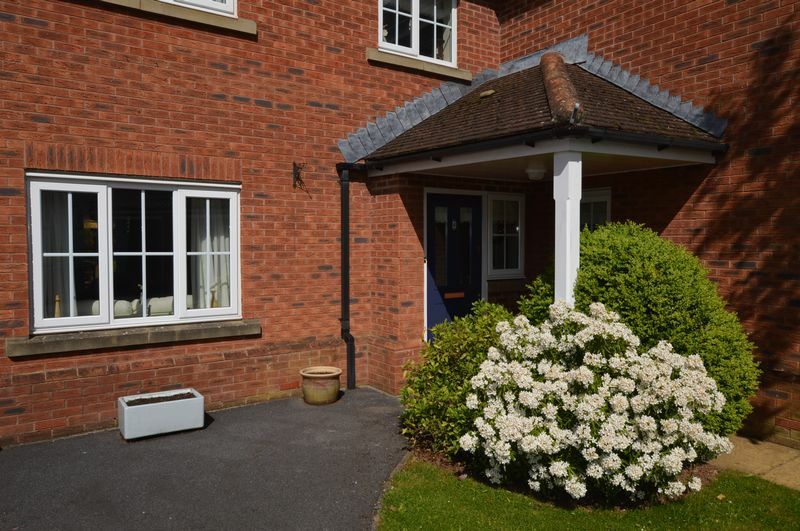 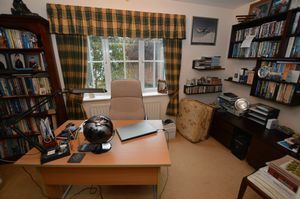 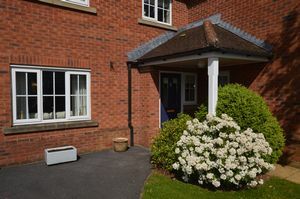 The property also boasts UPVC double glazed windows and gas central heating. 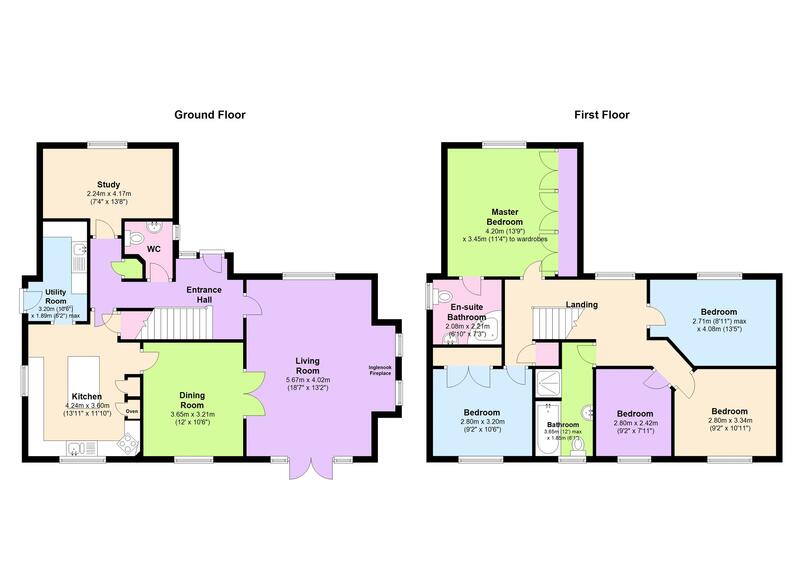 EPC rating D55, Council Tax Band F.
Leading from a tarmac driveway and under porch way the double glazed entrance door leads into the hallway. Lovely entrance hallway with doors to downstairs rooms, UPVC double glazed window, radiator, two ceiling lights, useful storage cupboard/cloak cupboard. 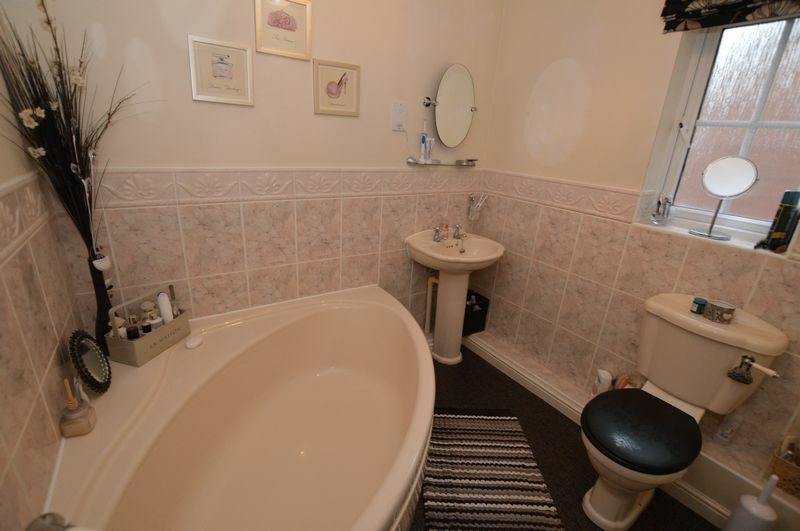 Tiled flooring with low level W/C, wash hand basin and pedestal with tiled splashbacks, radiator, UPVC double glazed window, ceiling light. WOW! 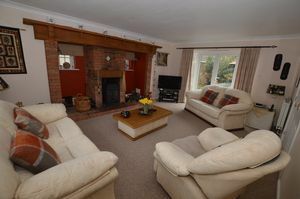 Super living space with superior brick fireplace and timber mantle, wood fuel burner sat on hearth, recently re-fitted carpets, UPVC double glazed patio doors and windows on to rear garden and further windows to the side and front, two radiators, wall lights, double doors through to dining room. 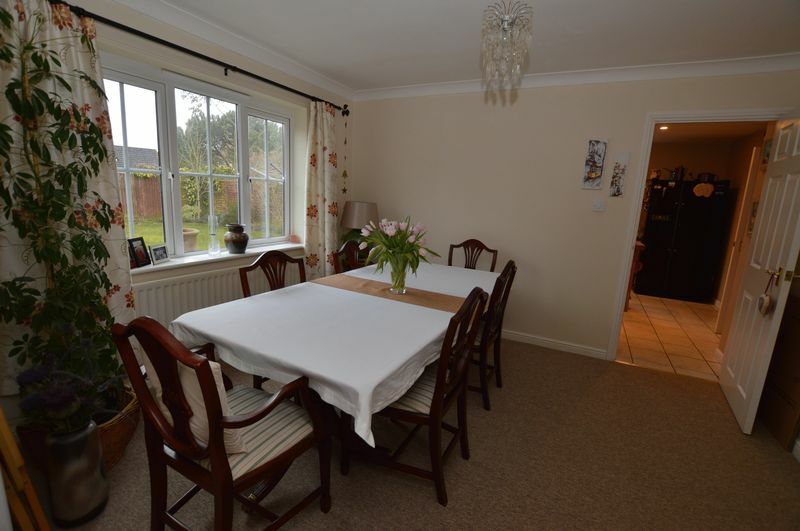 Recently re-fitted carpets and space for dining table, UPVC double glazed window over looking rear garden, radiator, coved ceiling and ceiling light, door to kitchen. Tiled flooring with a range of wall and floor units, roll edge worktops and cooking island, integrated four burner gas hob with extraction hood over, eye level 'Bosch' double oven, stainless steel one and a half bowl sink and drainer sat under UPVC double glazed window overlooking rear garden with another dual aspect window to side, integrated dishwasher, space for american style fridge freezer, useful under-stairs storage cupboard, radiator, door to utility, ceiling spotlights. 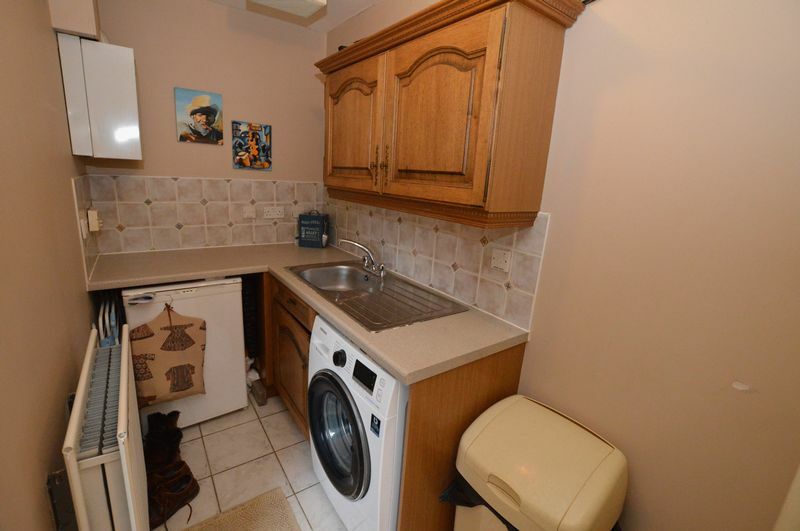 Tiled flooring with wall and floor units to match kitchen, stainless steel sink and drainer with space and plumbing for appliances, wall mounted gas fired boiler, radiator, extraction fan, ceiling light, UPVC double glazed door to side of property. 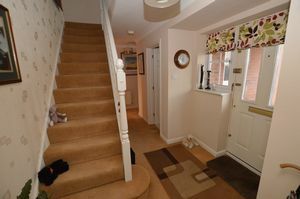 UPVC double glazed window overlooking front garden, radiator, ceiling light. 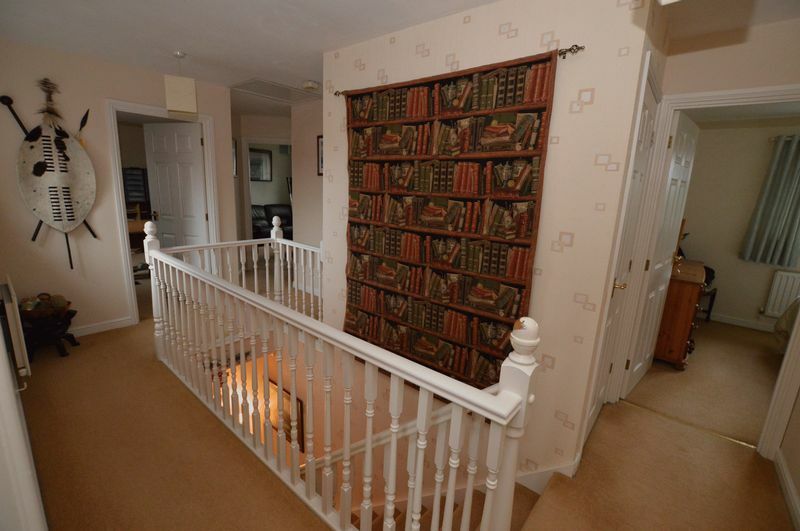 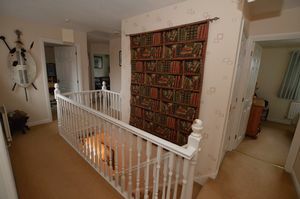 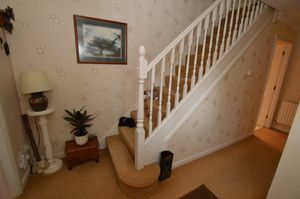 Stairs with timber balustrade rising from hallway to first floor landing. 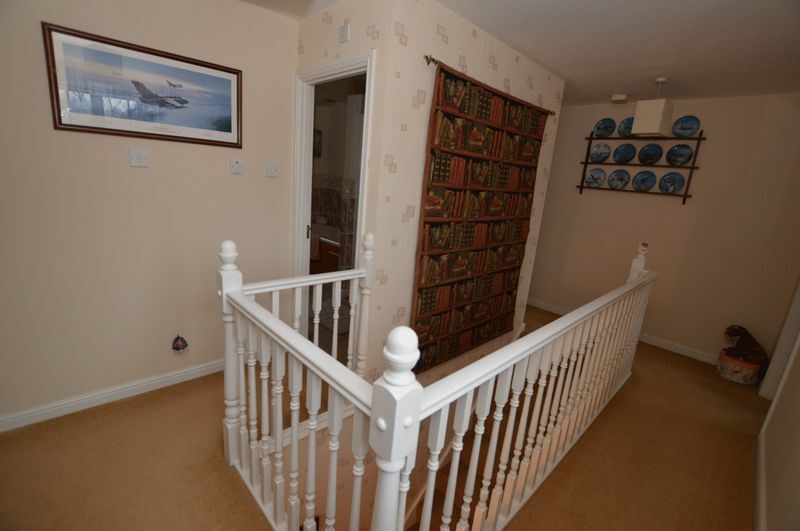 Part-galleried landing with timber balustrade, doors to first floor rooms, UPVC double glazed window, radiator, airing cupboard housing hot water tank, loft access, ceiling lights. Double bedroom with various built in wardrobes and storage cupboards, UPVC double glazed window, radiator, ceiling light, door to en-suite. 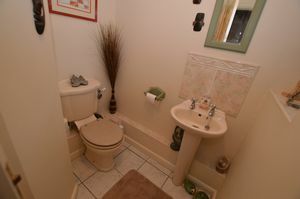 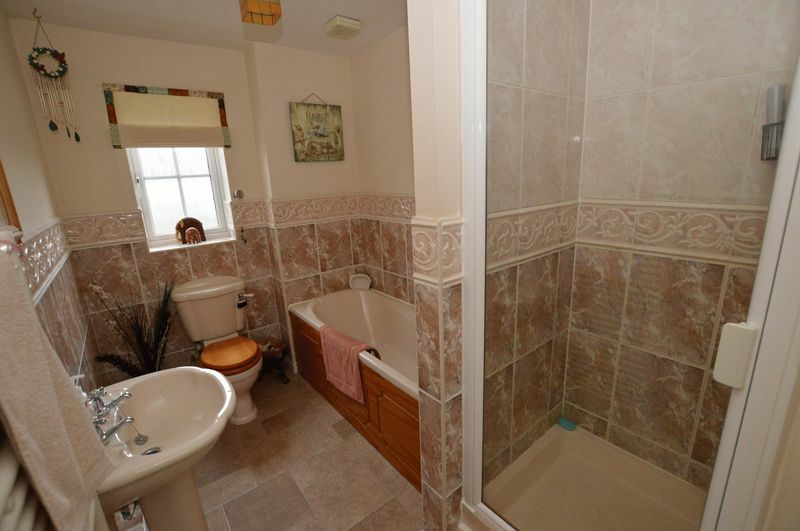 Tile effect laminate flooring with low level W/C, panelled corner bath with shower attachment, pedestal wash hand basin, part tiled walls, heated towel rail, UPVC double glazed window, extractor fan and ceiling light. Double bedroom with built in wardrobes, UPVC double glazed window over looking rear garden, radiator, ceiling light. 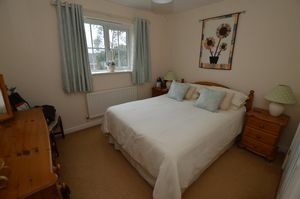 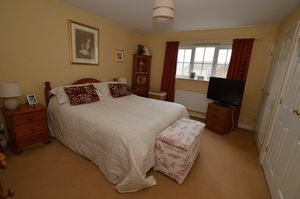 Double bedroom with UPVC double glazed window overlooking rear garden, radiator, ceiling light. 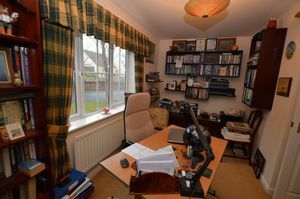 UPVC double glazed window, radiator, ceiling light. Tile effect vinyl flooring with part tiled walls, low level W/C, panelled bath with shower attachment, enclosed mains fed shower, wash hand basin and pedestal, heated towel rail, UPVC double glazed window, extractor fan and ceiling light. 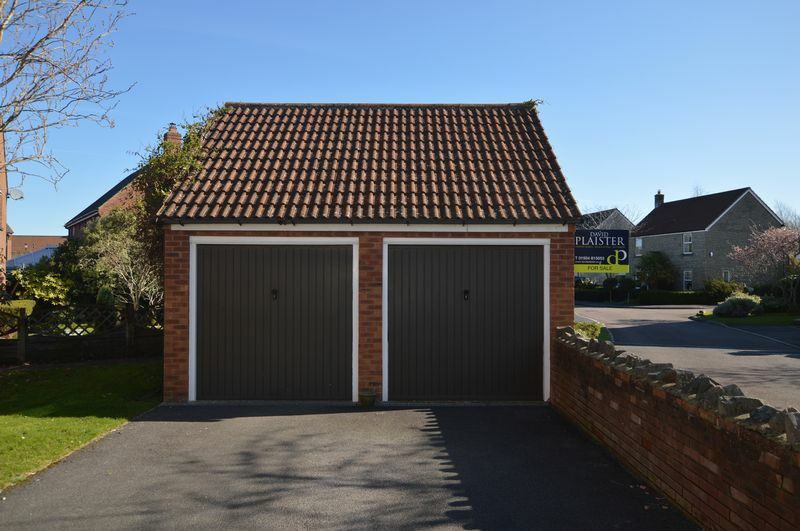 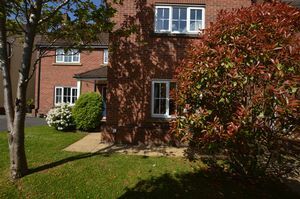 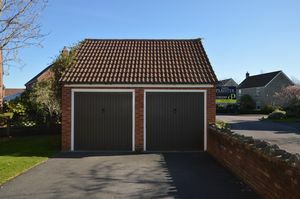 There is a shared private driveway leading to open entrance and tarmac driveway at number 6 with ample off street parking, there are areas laid to lawn with various trees and hedging, slab pathway leading to front door, side access to rear. 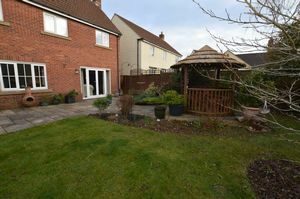 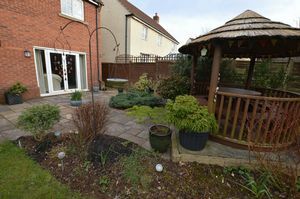 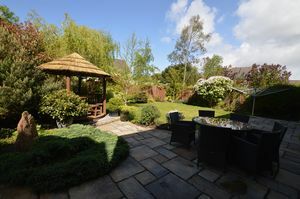 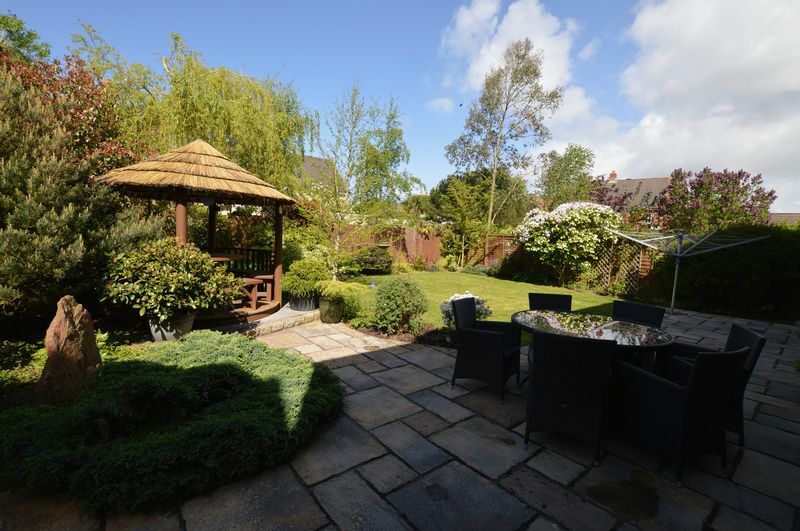 Private and enclosed rear garden mostly laid to lawn with super slab patio area perfect for entertaining and BBQ's. 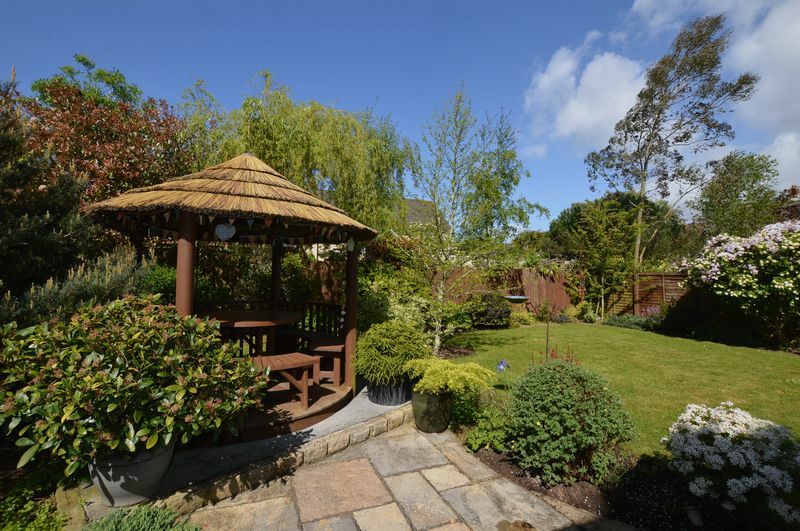 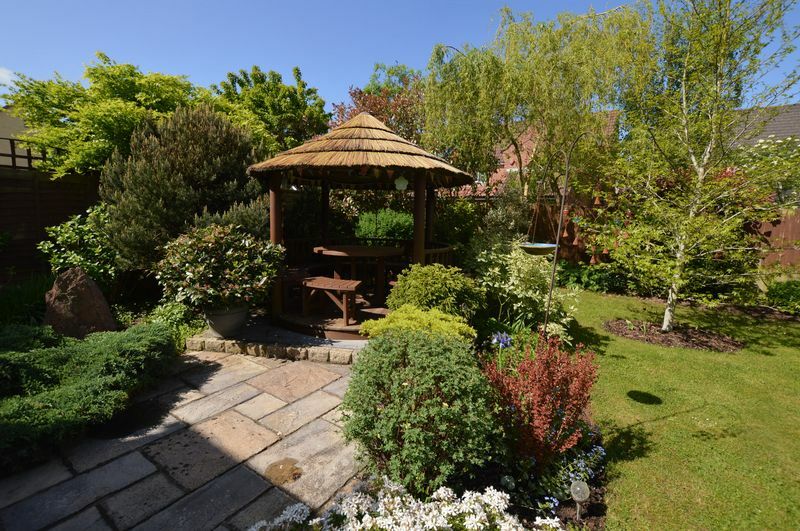 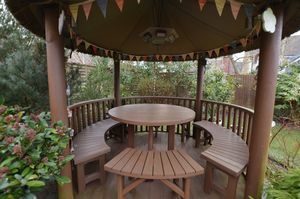 There is also the added benefit of a well constructed timber pergola style seating area with lamps and power, various trees, shrubs and hedging at the boarders.